This digital revolution means that everything can be done much faster, and cheaper - all the while being environmentally friendly. 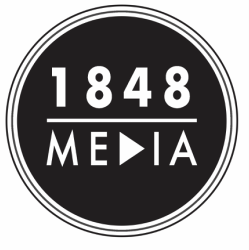 1848 Media’s productions are custom built around the client’s specific needs. Quoted prices are based upon the time and resources required to complete the project. Please contact 1848 Media with your production requirements and we will deliver a proposal within 24 hours.